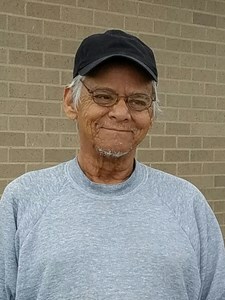 Paul D Castellon, aged 72, passed away on 3/16/19 in his home surrounded by family. He was preceded in death by his daughter Hope Castellon and granddaughter Mariana Castellon. He leaves five daughters, three sons, 14 grandchildren and three great grandchildren. A memorial service will be at 2:00 p.m. Friday, March 22, 2019 at Penwell-Gabel Mid-Town Chapel, 1321 SW 10th Ave. A potluck dinner will follow the service at Parker-Price Receptions Center, 245 NW Independence Ave.
To share a memory of Paul or leave a special condolence message for his family, please click the Share Memories button above. Add your memories to the guest book of Paul Castellon. Paul, Paul, Paul... Please Rest Well My Friend. I've known you for a little over a year & enjoyed every minute we shared. Buddy You've left me & we've never made our Donut Date here on the Ole Earth, but you just remember when we meet again you owe me a donut & coffee. Roxann My Prayers & Trudie's too are sent for You & rest of the Family. I always looked at Paul as a grandfather even though biologically he’s not mine, but he was always there with a warm smile and a kind heart and was completely loved by everyone in his family he left a very unique mark on the world and will be truly missed Rest In Peace.